These online study modules allow you to learn new information in the comfort of your own home. Modules are derived from the lectures, recorded webinars & materials presented in class. CERPs and Lactation Education hours are available for each course. Each module includes a webinar recording video, power point presentation notes, along with relevant journal articles and documents. Please note, some courses require you complete a quiz in order to receive your certificate. You will receive a certificate of completion upon successful completion of the online module. If you don’t receive your certificate please contact IBC at education@ibconline.ca for an additional copy. The pass rate for each module is 70% and you will have two opportunities to reach a score of 70%. 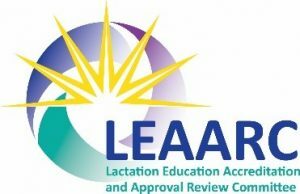 IBC’s Centre for Breastfeeding Education is a long-term provider with the International Board of Lactation Consultant Examiners for Continuing Education Recognition Points (CERPs). Modules are available in L (lactation), E (ethics) CERPs. We encourage you to augment your learning experience by viewing our video clips and handouts when indicated in the presentation.